Lookout has been recognized as a significant contributor to the BlackBerry Enterprise Partner Program, winning the award for Top ISV Execution Partner in BlackBerry’s inaugural Enterprise Partner Awards for the Americas. Earlier this year, the Blackberry & Lookout team closed the largest ISV deal at BlackBerry to date. 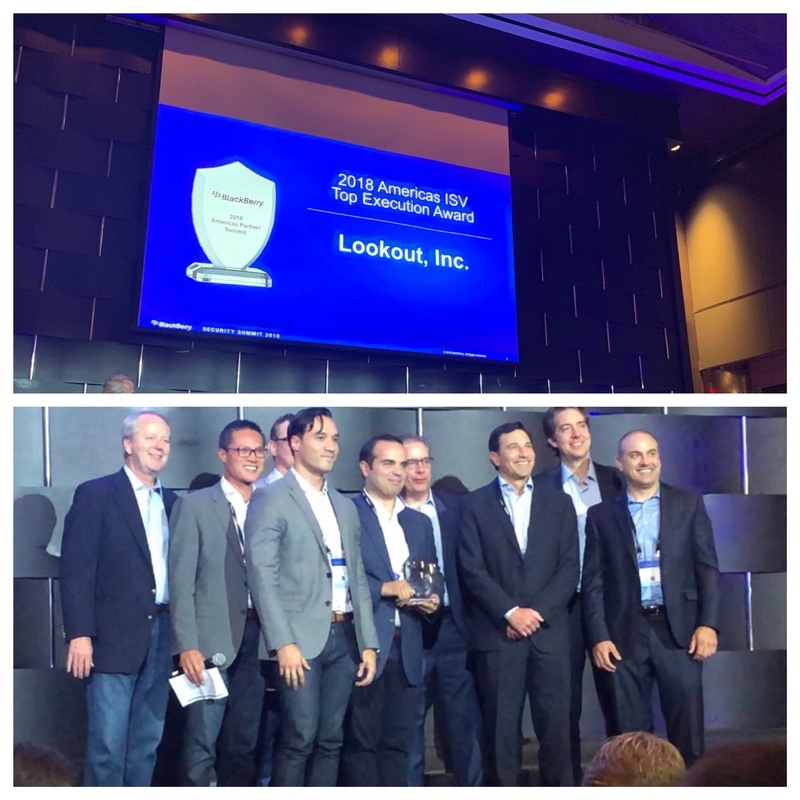 Last week, Lookout exhibited its enterprise products at the BlackBerry Security Summit and was recognized during the awards gala for innovation and leadership within BlackBerry’s global partner and channel ecosystem. Lookout received this award for working with BlackBerry to deliver the largest ISV deal at BlackBerry to date. Winning the Top ISV Execution Partner award refinforces Lookout’s strong partnership with BlackBerry as a key technology and channel reseller partner. Together, BlackBerry and Lookout worked through a challenging selection process at a top tier bank and, after the deal closed, it was the largest ISV deal at BlackBerry to date. The award demonstrates how BlackBerry and Lookout are working together to secure customers with BlackBerry Enterprise Mobility Suite and Lookout Mobile Endpoint Security. As organizations see an increasing amount of employee productivity and communications taking place outside the reach of traditional perimeter security tools, critical security capabilities must move to the endpoint. Lookout Mobile Endpoint Security makes it easy for BlackBerry and Lookout customers to get visibility into the entire spectrum of mobile risk, apply policies to measurably reduce that risk, and integrate into their existing security and mobile management solutions.